Call (805) 879-7576 to schedule a FREE Consultation. 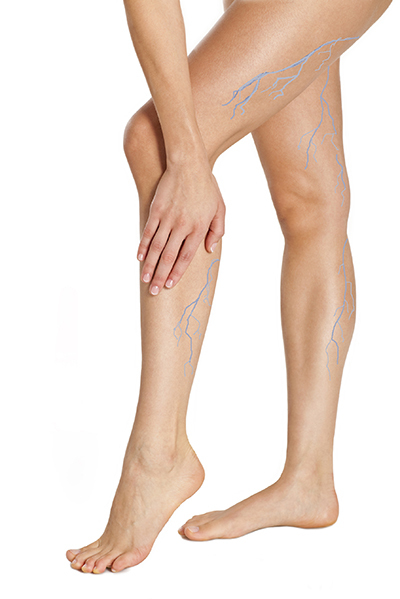 Vein Specialists of Santa Barbara offers various, minimally invasive vein treatment procedures best suited to each patient’s individual needs. Learn about each procedure from the list below to find out more information and the advantages of each one. Our vein specialists offer the most recent and cutting-edge breakthrough in the treatment of large varicose veins. Under local anesthesia and ultrasound guidance, a small catheter is inserted into a vein in the thigh. A laser fiber is then threaded into the catheter and directed to the exact location with ultrasound guidance; heat generated from the laser closes the vein, permanently sealing it off. The procedure takes about one hour. Vein Specialists of Santa Barbara offers the best imaging possible for the guidance of treatment with ultrasound. The doctor injects a sclerotherapy solution into the abnormal vein. By following the path of the solution with ultrasound the doctor targets affected areas to collapse these veins. This advanced procedure is used to successfully remove large surface varicosities. During ambulatory phlebectomy, the diseased veins are pulled up and delicately removed through very small micro-punctures that do not require stitches. This procedure is often a more efficient way to treat surface veins than using multiple sclerotherapy sessions.